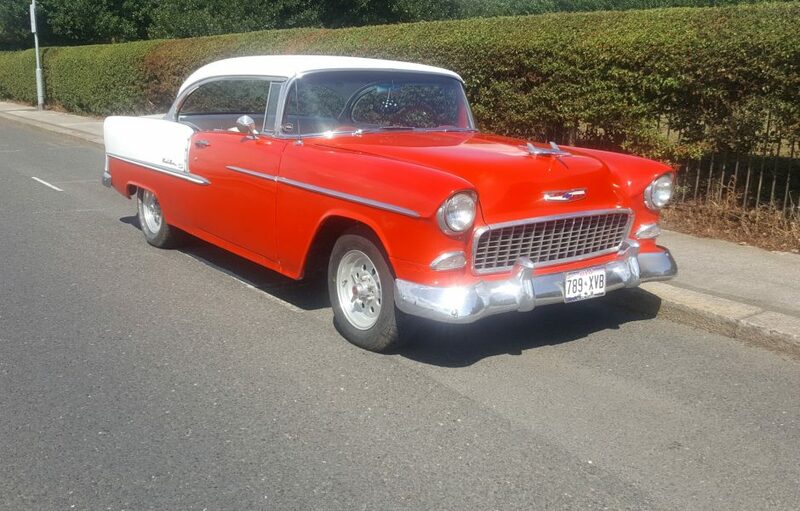 Just arrived in the UK from State of Texas, is this very very nice “55 Bel Air” and we are proud to of been asked to market it on behalf of its UK owner. 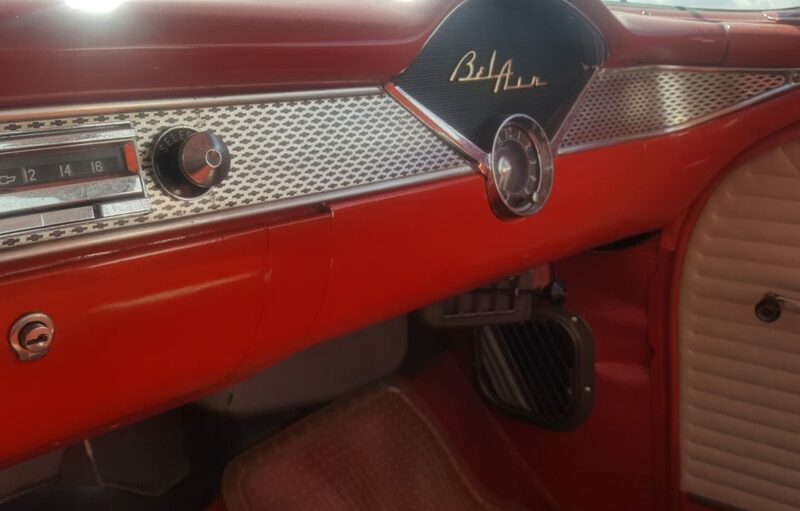 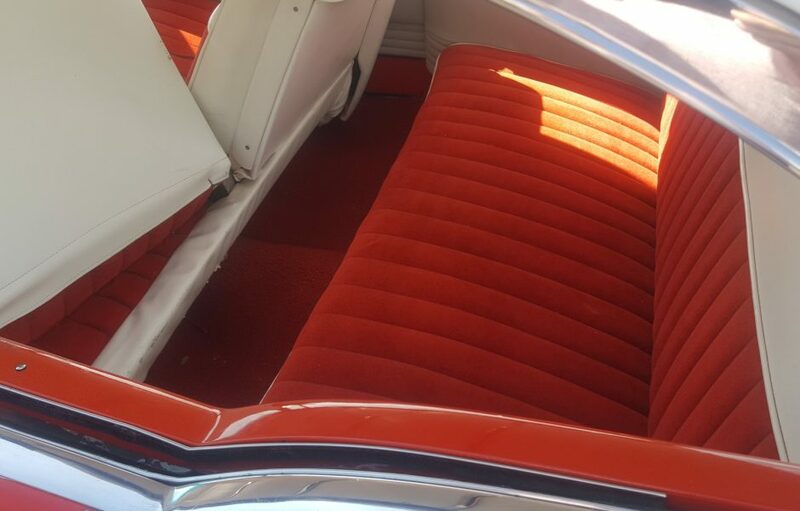 Available in 3 different trim levels, the Bel air was the most expensive with extra chrome trims and name scripts outside plus two tone paint. 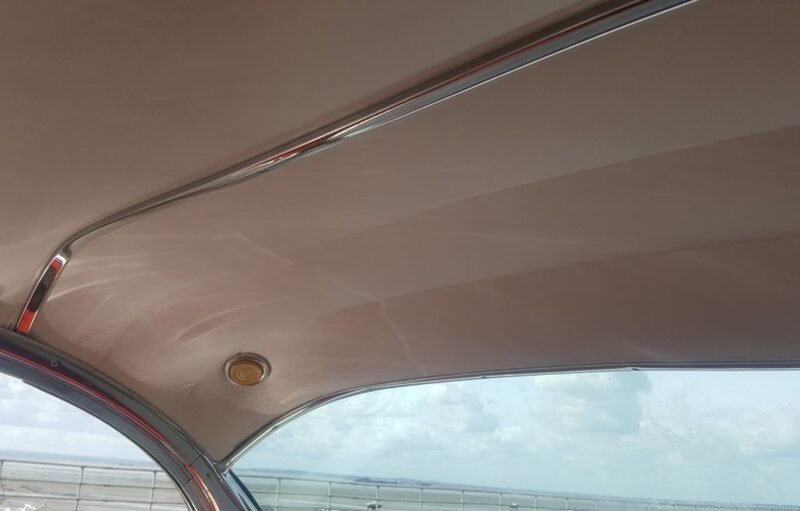 Inside you got chrome strips holding the roof lining in place, more chrome and a list of options not available before. 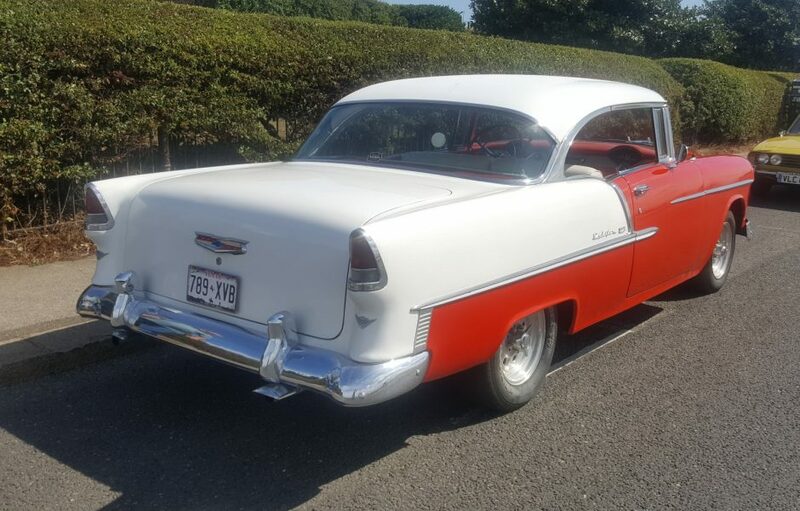 The new for 55 body shape was offered in 2 and 4 door hard top and 2 door convertible, plus later that year the Nomad estate and even a van version (only available in the lowest spec 150 version) was introduced. 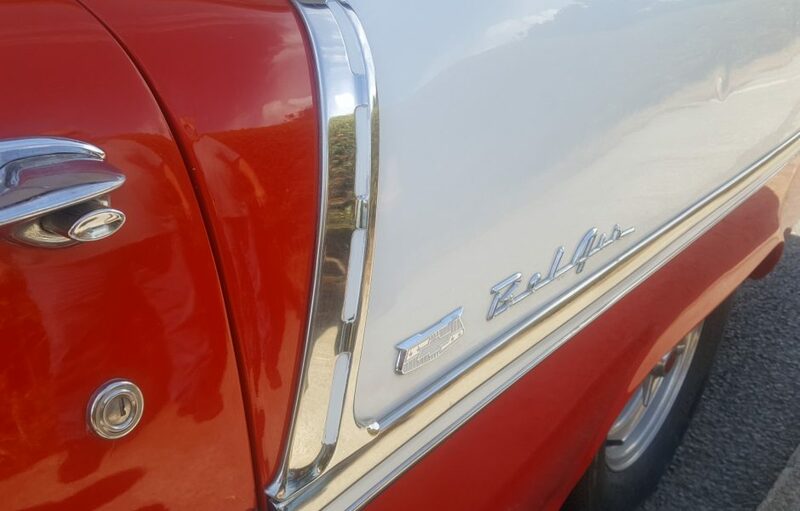 Chevrolet kept the Bel Air name to just the top of the range cars. 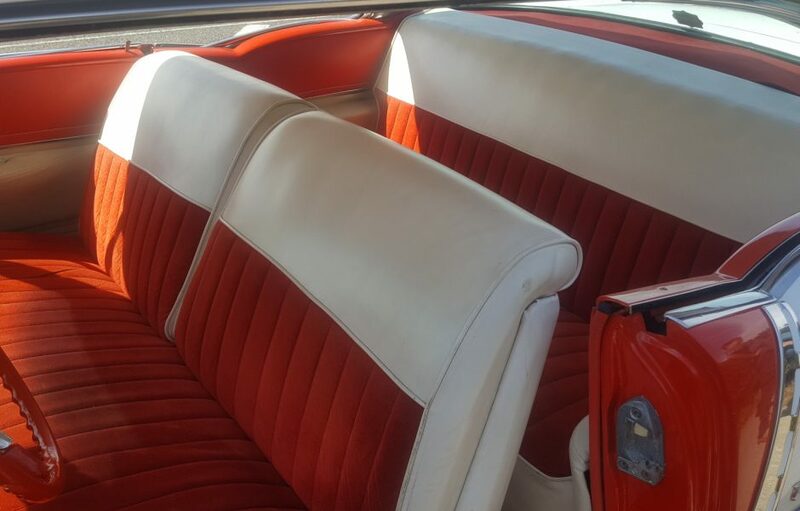 This actual car is what is called a “Sport Coupe” as unlike the standard Coupe in the range, it is pillar less. 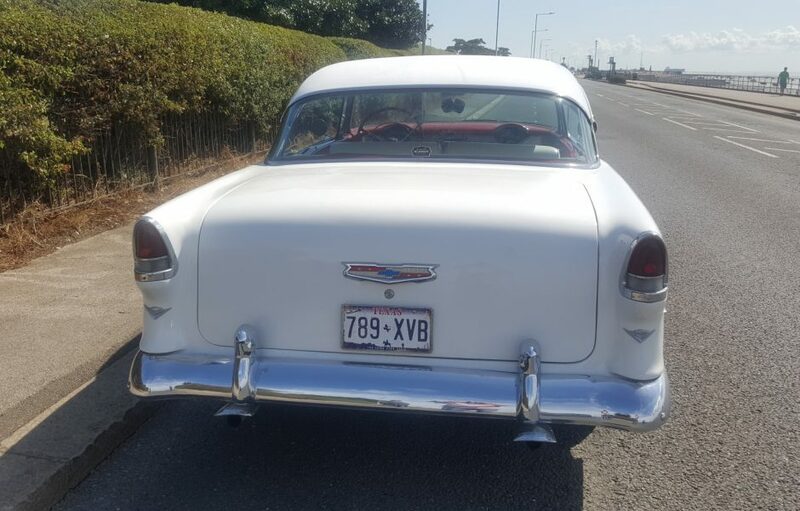 By having no post between the front and rear side windows, this allowed for a slightly shorter roof and longer rear end, further enhancing its look and making it the most desirable, hence hardest to find, today. 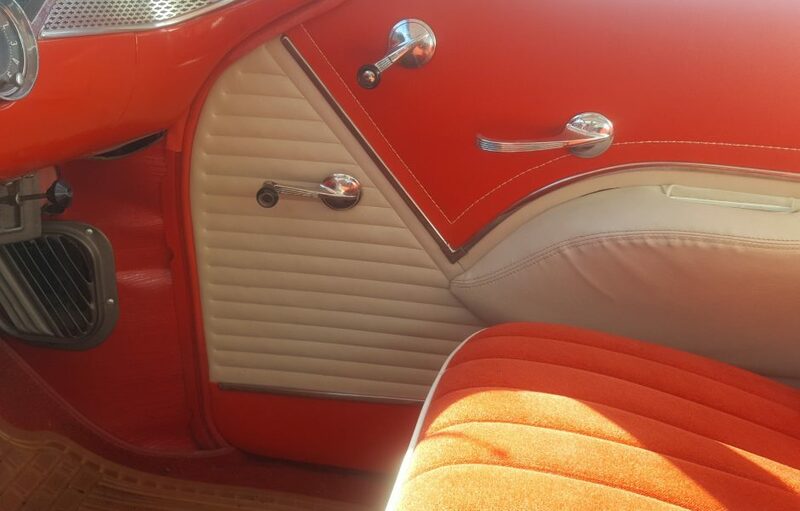 Having been restored by its owner in Texas back in the nineties, for his wife. 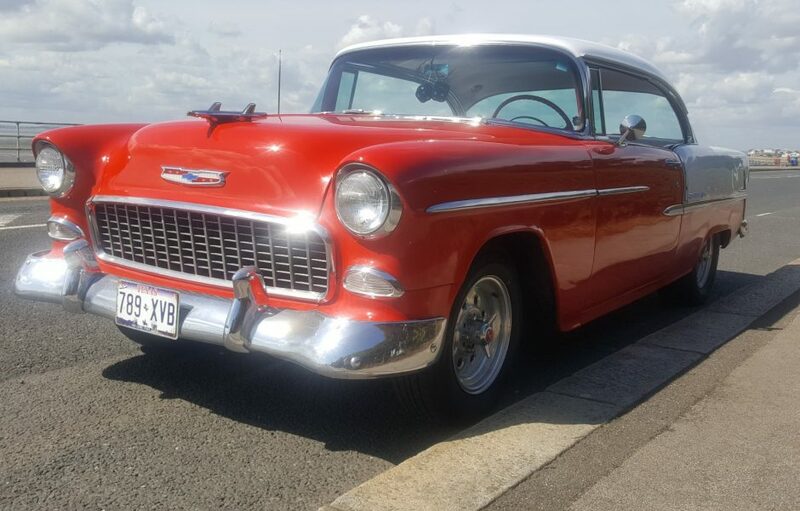 She drove it for a year or so then unfortunately passed away, at this point it was tucked away in his workshop until found, purchased and imported and now fully UK registered by its new owner. 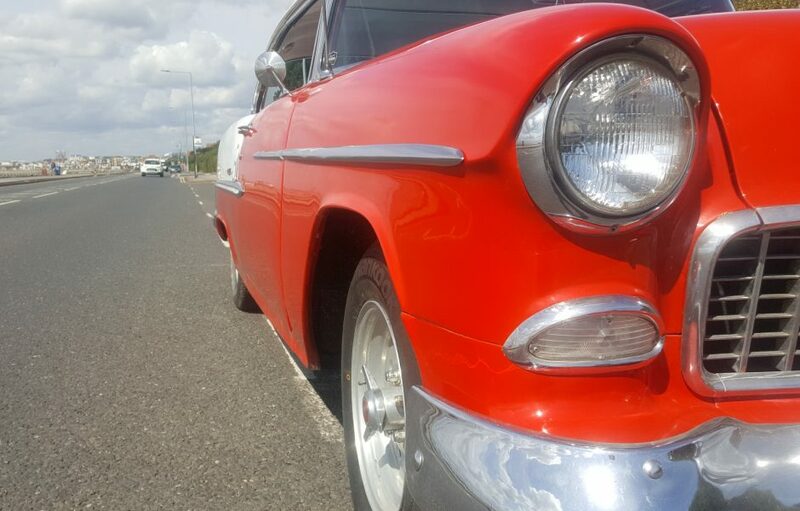 The body work is excellent, 99% dent free with no signs of rust and while yes, it’s an older restoration, the paint has held up very well over the years as has the exterior chrome work, lights etc. 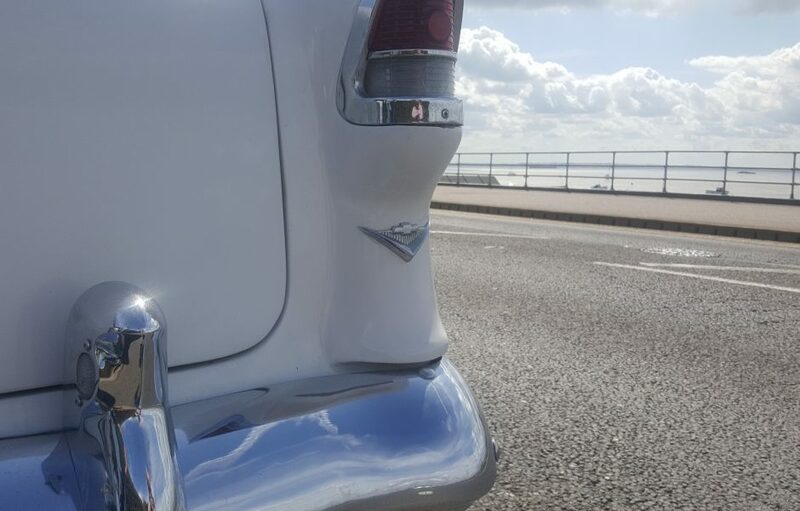 Aged nicely you could say and with a bit of effort and some TLC will come up looking superb in these period colours. 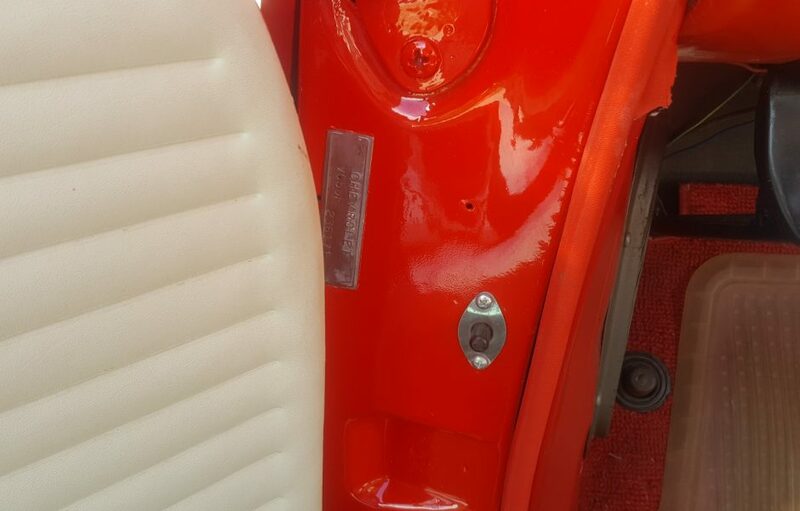 Inside is more of the same, restored and in lovely condition but looking “period correct” with just a couple of minor marks. 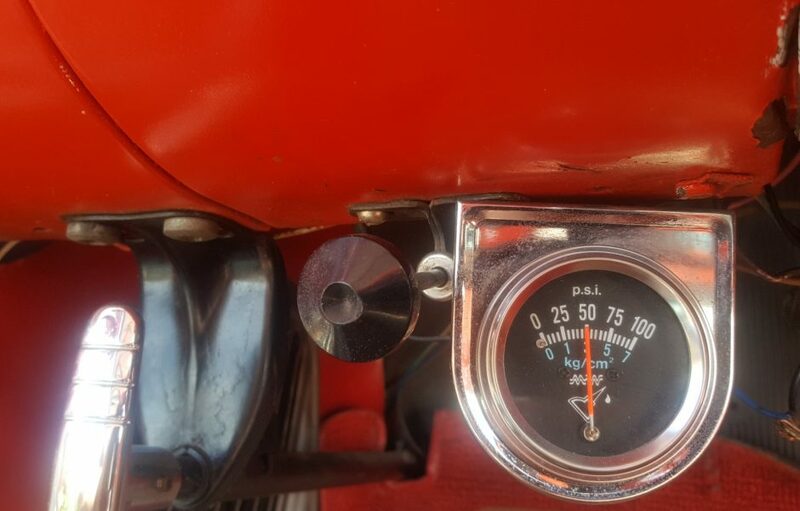 The dash is correct, no nasty holes where modern stereos have been fitted and all but the fuel gauge is working. 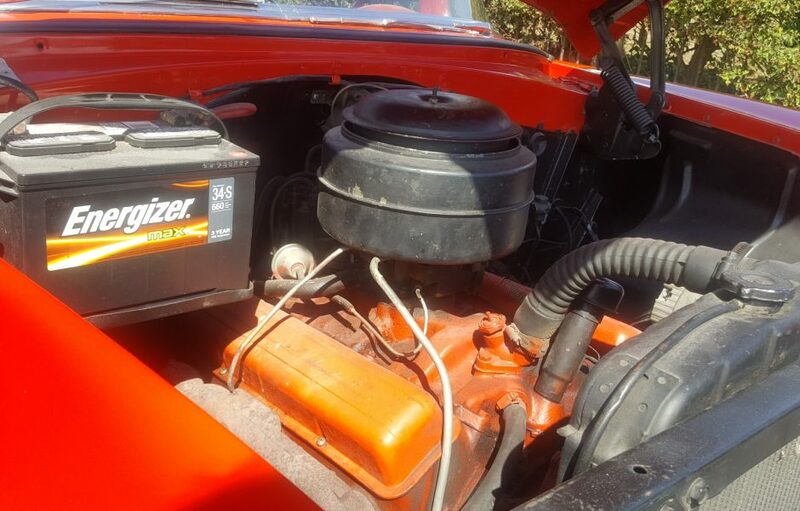 Under the bonnet is not the original 265 V8 but a next generation on 283, not a bad thing as the 265 did have some teething problems with excess oil usage and was replaced by the 283 in 1957. 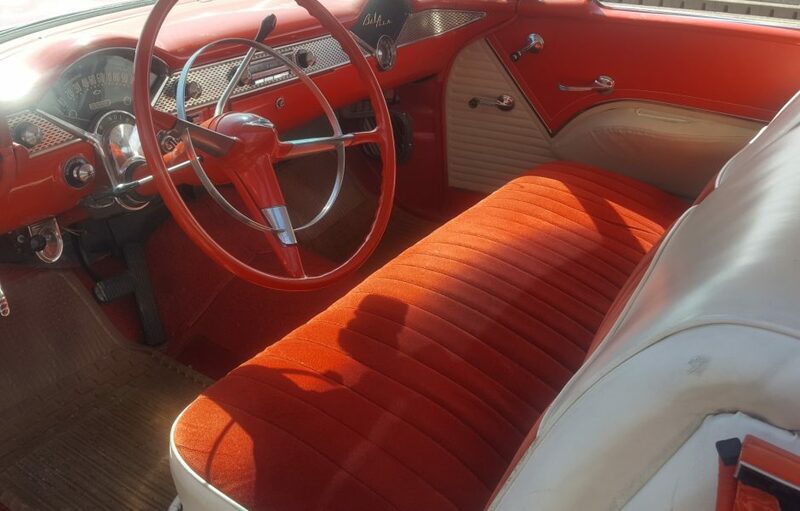 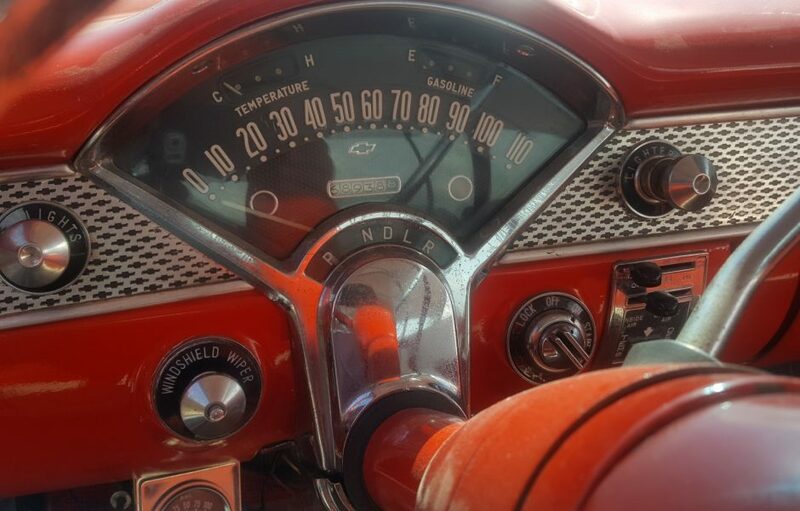 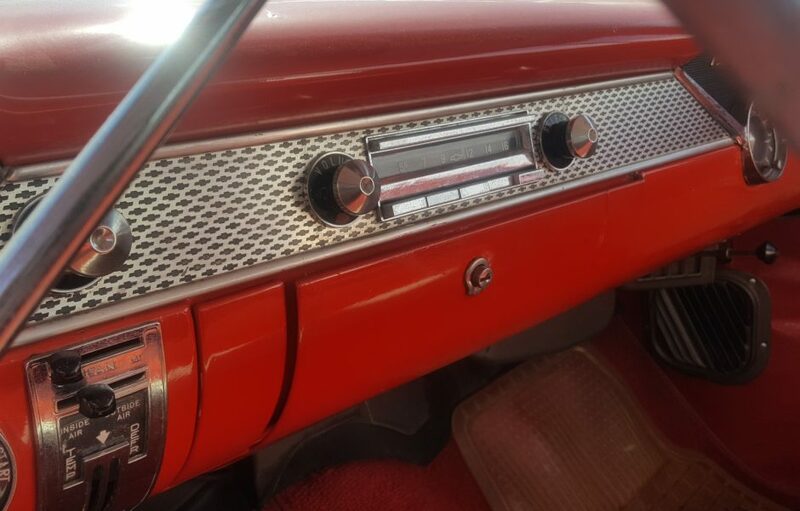 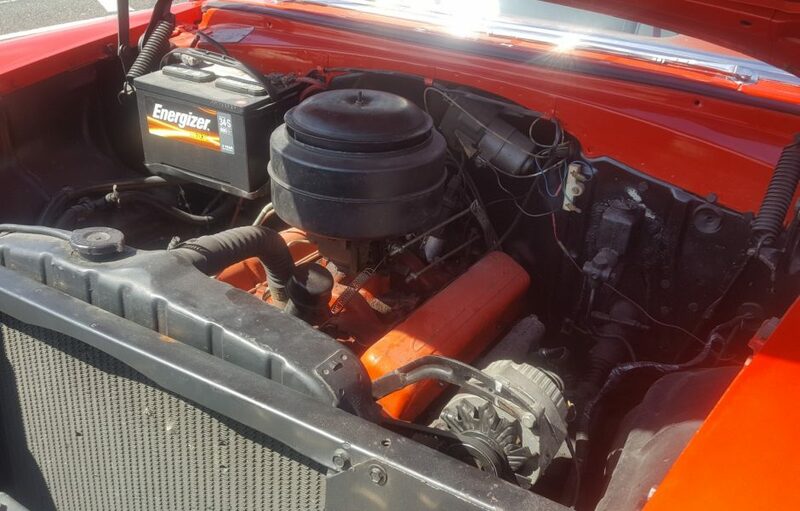 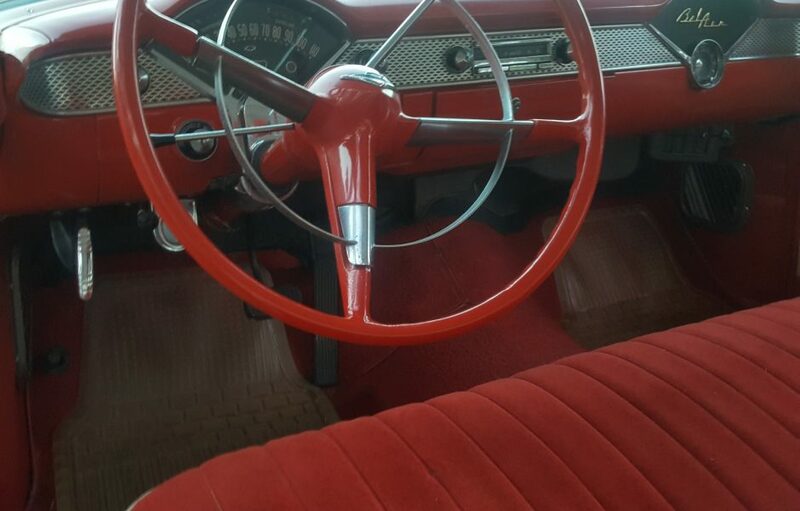 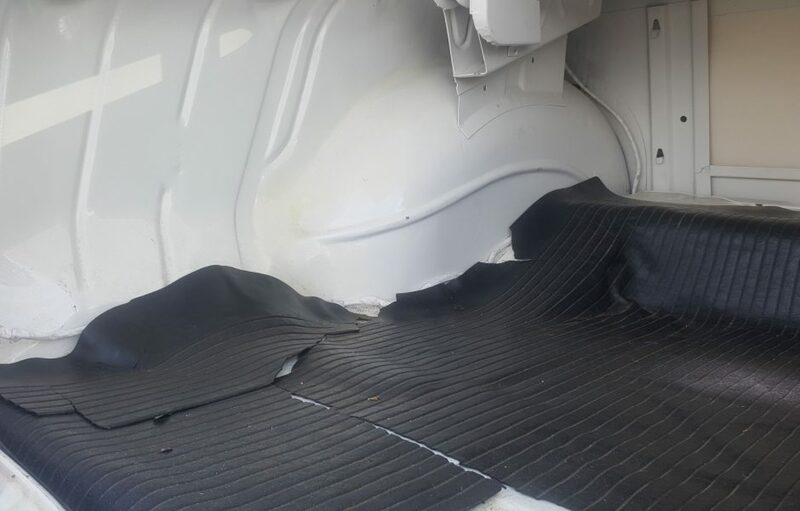 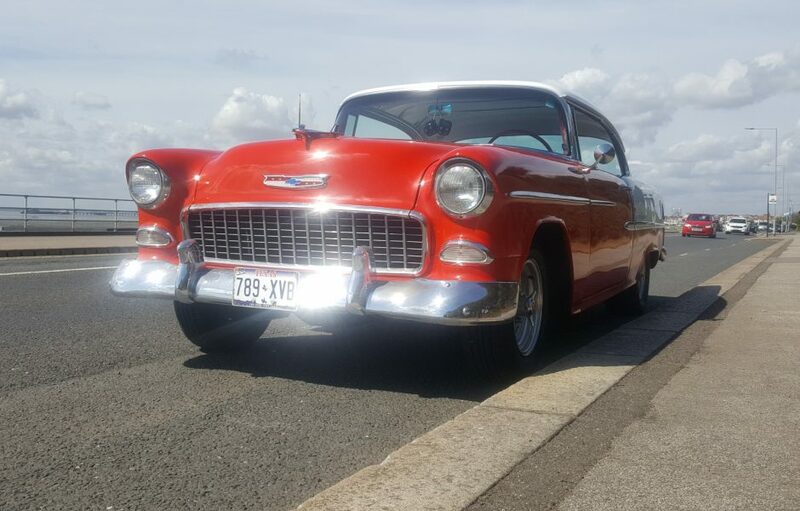 Having driven the car 150 miles in Texas, in temperatures well in excess of 100 degrees the owner can confirm that the car drives very well with the engine showing good oil pressure while pulling strongly and the auto box working as Chevy intended. 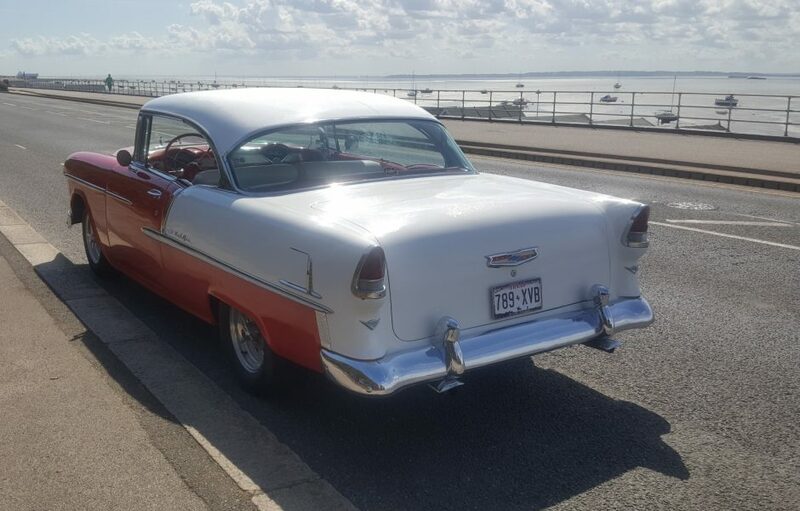 Breaks work but you do have to remember this is a large car with 1955 breaks, perfectly up to the job if not driven by an idiot. 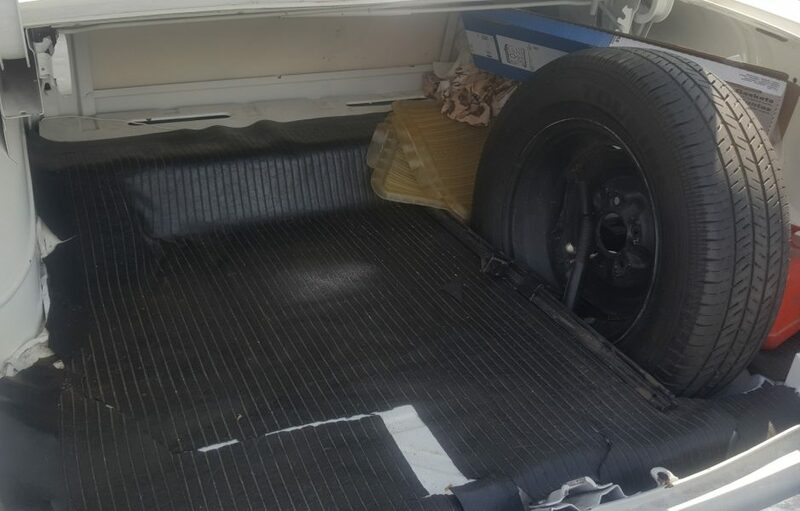 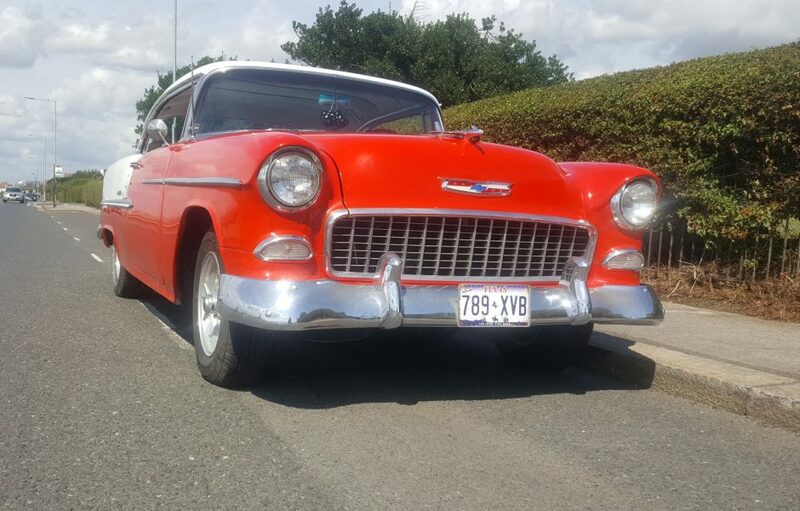 Prior to making the journey in Texas it had two new tyres and the exhaust replaced. 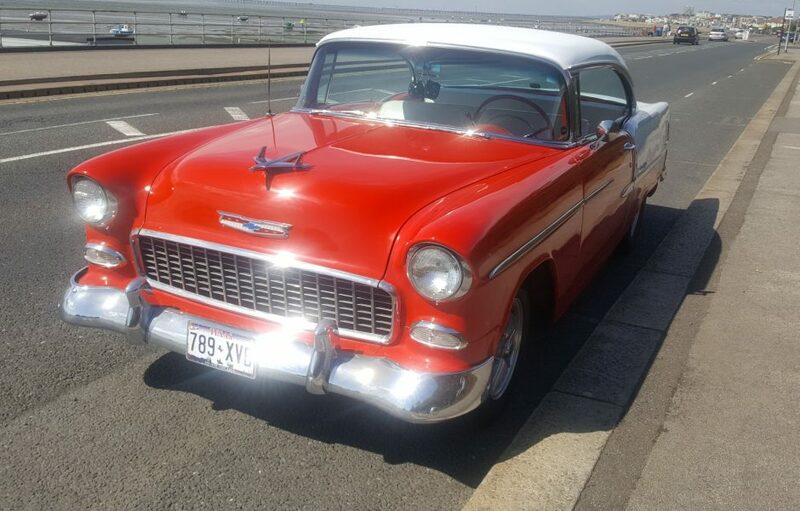 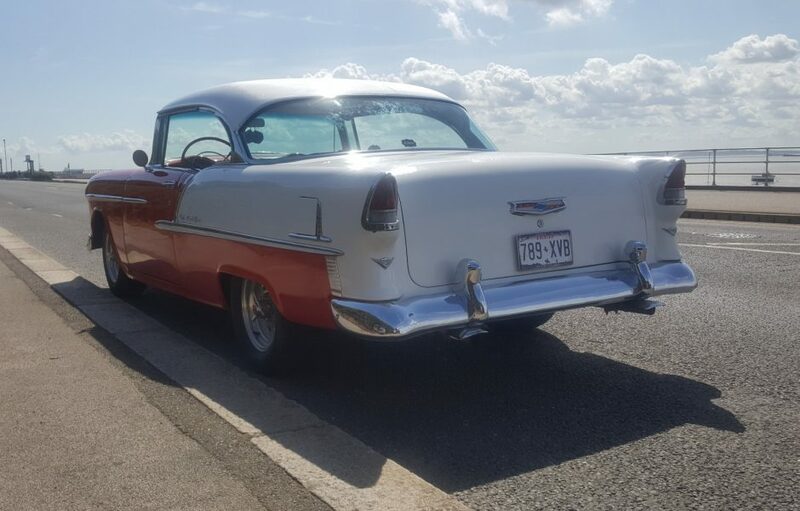 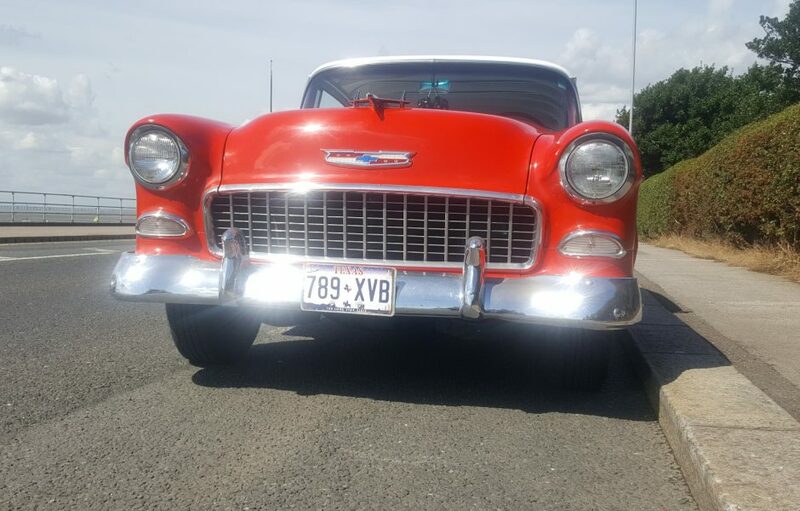 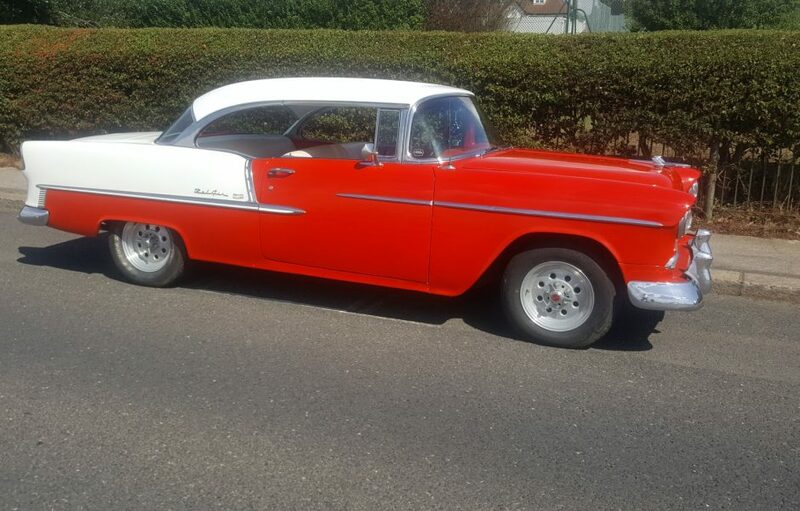 Today’s market prices reflect the desire people have to own a “55 Chevy”, with prices of good cars passing the £50K mark, that is if you can find another 1955 2 Door pillar less coupe with a V8 for sale in the first place! 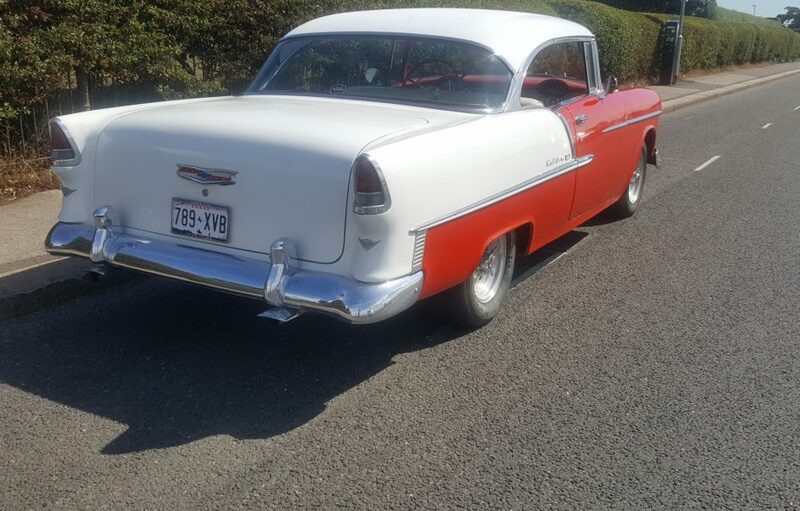 So we feel the owner has priced this example aggressively to sell now, not next year some time.